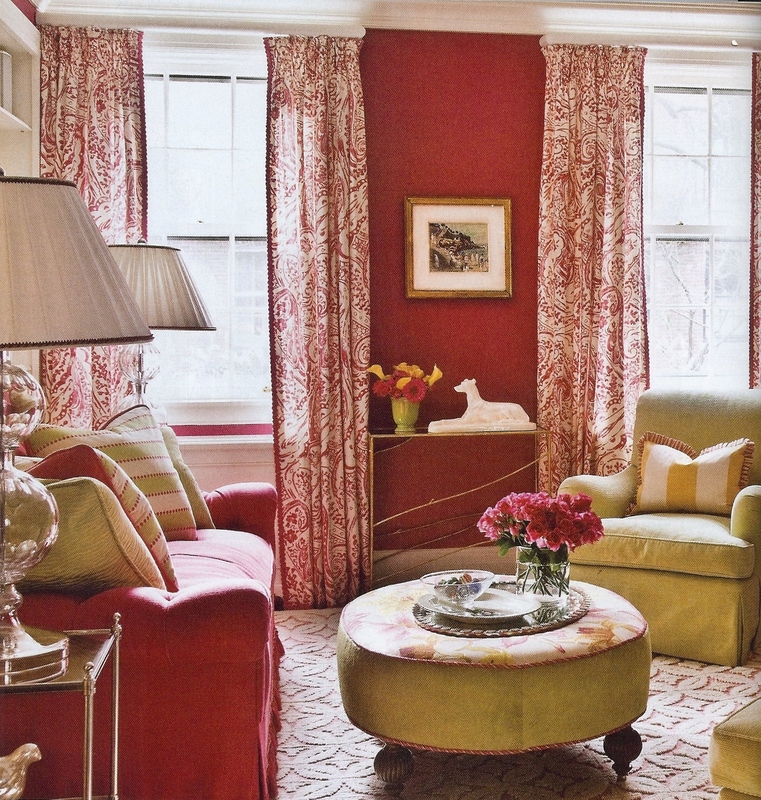 In honor of breast cancer awareness month, we wanted to post some of our favorite pink rooms. So this post is literally for the girls. Yellow walls create the perfect backdrop for the pick accents to pop off. 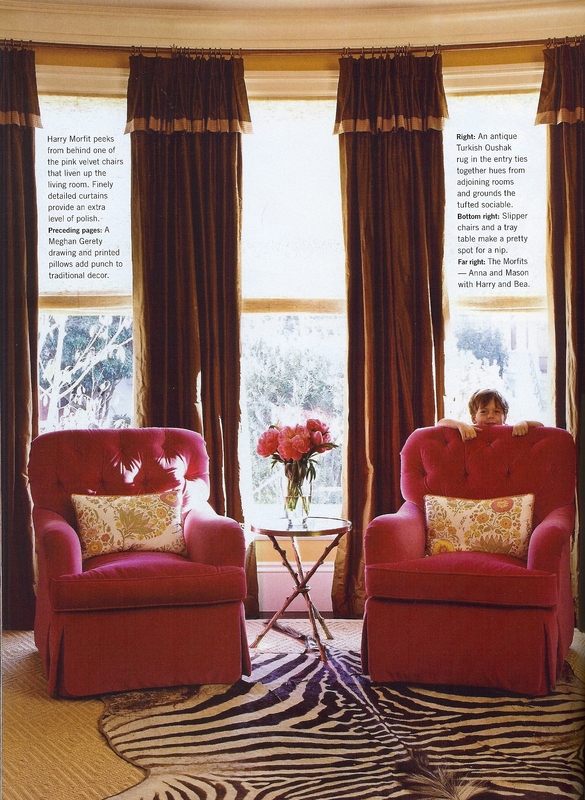 There’s something so luxurious and glamorous about hot pink tufted velvet. 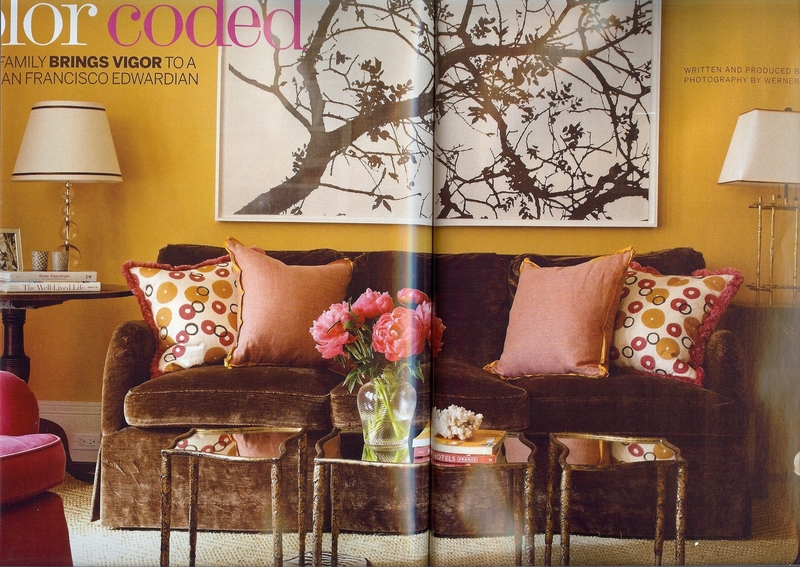 Again, the gold walls pair perfectly with the pops of pink. Hints of pink and green make this room a bit more playful. 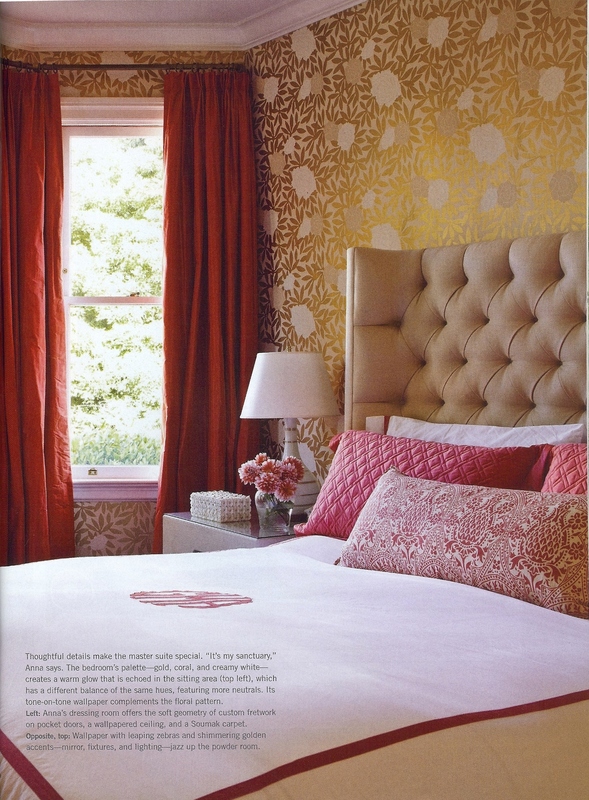 The coral accents in this great bedroom keeps the room from feeling too cold and sterile. 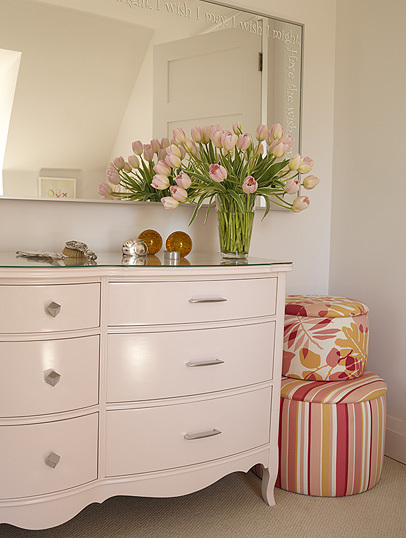 I secretly want to put a pretty pink dresser in my bedroom now. I wonder if my husband will approve. This is definitely a PINK room. Could you live with hot pink walls? 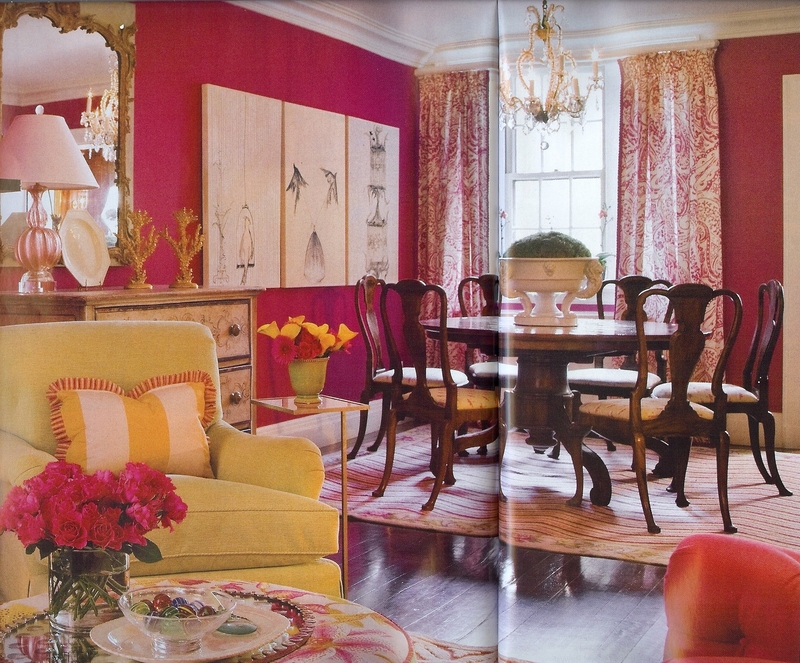 This entry was posted in Color, Interior Design. Bookmark the permalink.